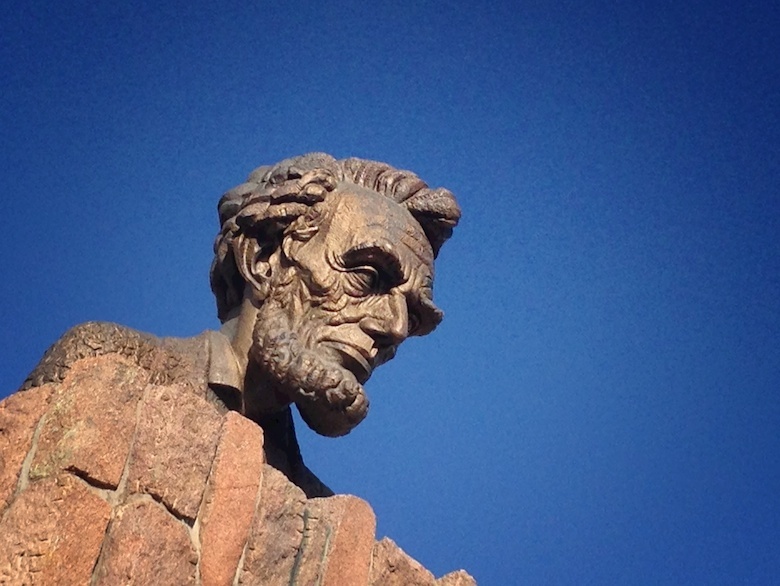 Giant head of Abraham Lincoln looms large over I-80 | Best Road Trip Ever! Talk about a head of state. 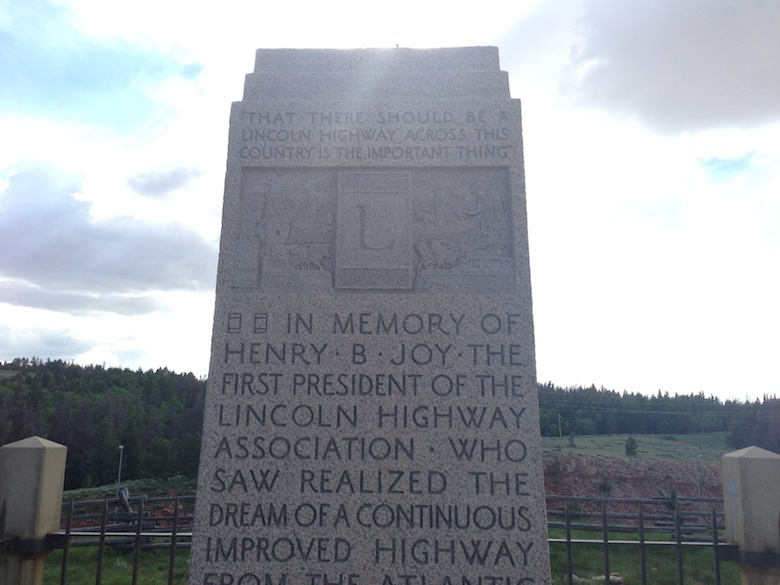 Once upon a time, Ol’ Abe stood watch at Sherman Summit, the highest point on his namesake coast-to-coast highway, Lincoln Highway. When I-80 was completed in 1969, he was moved to his current vantage point – keeping a watchful eye southward. The craggy and stern Lincoln’s head was built by Wyoming’s Parks Commission to honor Lincoln’s 150th birthday. It was sculpted by University of Wyoming art professor, Robert Russin, who was such a fan that when he died in 2007, his ashes were interred in the hollow monument.